I bought 2nd hand Tiptop audio ONE, which arrived one component unleashed, the black (capacitor ?) behind the module, with two legs, silver-colored top. 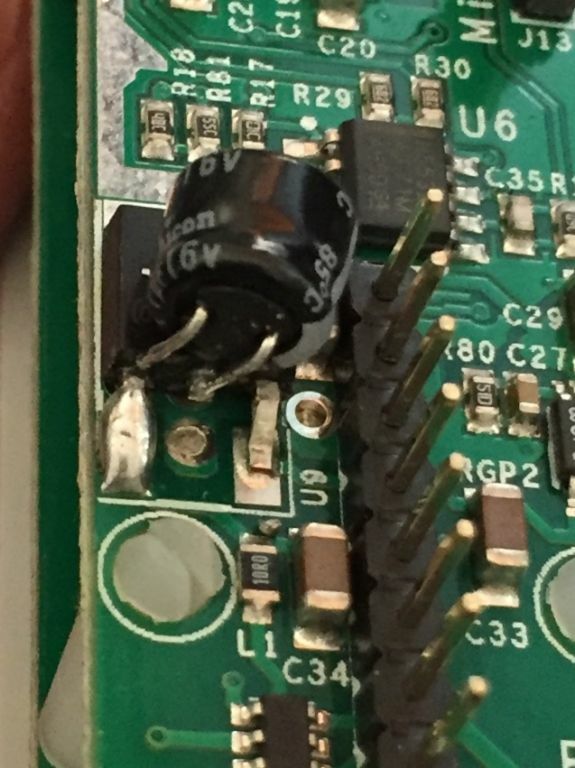 Anyone knows which component it is, and where to exactly solder it back ? Thanks, I can send pics if needed !! Yeah pictures might be a good idea. Is it the one that's in the lower left in this circuit board shot from Schneiders? I wrote to Tiptop Audio, but no reply yet. Looks like some last minute power filtering. 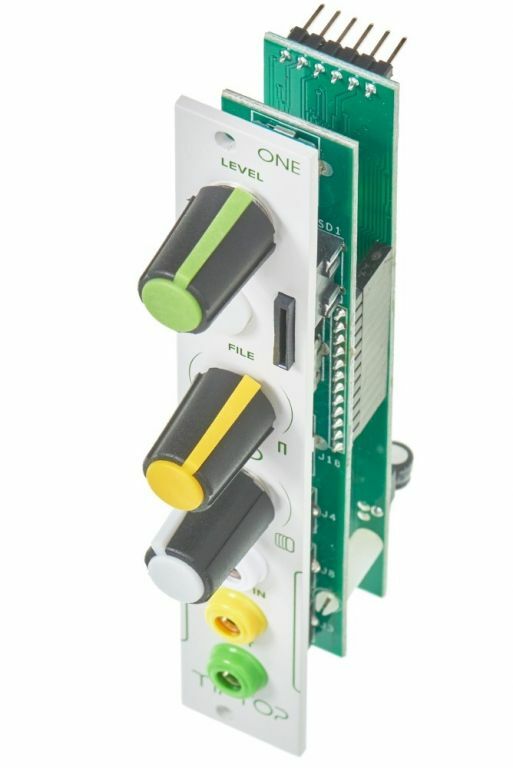 looks like those caps were an afterthought, probably soldered by hand after the modules were manufactured. 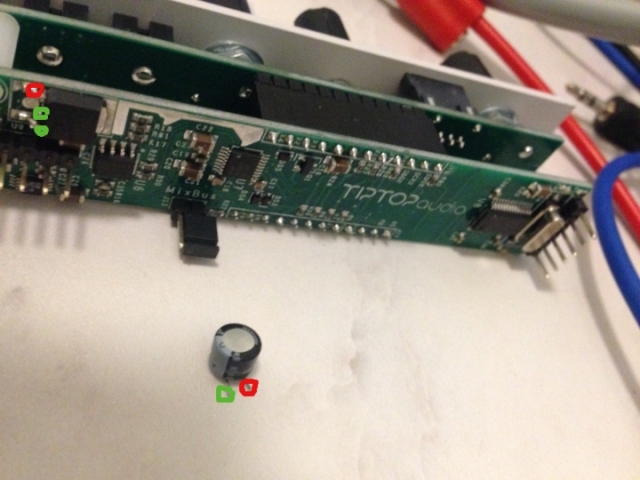 Thanks all, got reply from Tiptop, yes, the cap is for reducing noise, not "superimportant", comes to U9 left and center pin as in Basicbasic's photo. Thanks all, works fine without the cap, just tested, might even be a bit louder sound (I had one before, memory-based non-scientific comparison ), maybe solder it back at some point, let's see !